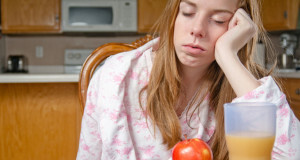 Hitting the Hay: Is Your Sleep Schedule Affecting Your Everyday Life? The constant struggle to get enough sleep has been a battle that students and adults alike have been fighting for generations. Now more than ever, students are finding themselves stretching their days and shrinking their nights in order to keep up with the academic, extracurricular, familial and social obligations bestowed upon teens in today’s world. Ironic, in the sense that the hours taken away from sleep to adhere to these responsibilities is actually negatively impacting each of these areas, along with a slew of other facets of their physical and mental well being. One study found that as little as 15% of high school students get 8 hours or more on school nights. Research shows that teenagers should be sleeping at least 8 to 10 hours a night to achieve a healthy level of deep sleep and be fully functional throughout the day. How does your child’s sleep schedule line up with that recommendation? Sleep deprivation can be cause for serious concern when it comes to the health and success of our students. Teens that don’t get enough sleep find serious dips in their learning, listening, concentration and problem solving abilities, and simple memory functions such as names, dates and numbers fall by the wayside easily. Sleep deprivation can lead to aggressive or inappropriate behavior, cause mood swings, and bring about an increase in risky behavior. Driving while sleep deprived is also very dangerous; about 100,000 car crashes a year are caused by tired drivers, resulting in about 1,500 deaths. Many physical issues can arise as a result of sleep deprivation as well. Sleep is used as the time to regroup and rebuild your cells, and has a hand in healing and repairing parts of your body on a daily basis. Going extended periods of time without sleep can increase one’s risk for heart disease, kidney disease, high blood pressure, diabetes, and stroke. Risks for obesity go up as your impulse control and metabolism plummet, acne breakouts are far more common, and hormone imbalances through puberty are prevalent when teens spend too little time sleeping. So what, then, should we do? Students are going to remain busy. Lives of teenagers are going to stay hectic. 24 measly hours in a day are never going to feel like enough. The biggest solution found by researchers is to simply prioritize sleeping in your life. Be mindful of your sleep schedules and patterns throughout your everyday life and try to adjust your daily choices according to what your body needs. Get your body clock ticking regularly again by eating meals at consistent times, and try to go to bed and wake up around the same time each day as well (yes, even on the weekend; “catching up” on sleep can cause your sleep schedule to fall out of balance if you’re not careful. It’s better to get a few more hours throughout the week than to throw your body out of whack every weekend). Try to kick caffeine for a week or two and see how your body reacts when bed time comes around, and always avoid caffeine after around 3 pm. Try replacing your caffeine intake with a daily dose of exercise; studies show that just 30 minutes of exercise daily can boost endorphin levels enough to give you energy throughout the day and settle down for a good night’s rest every evening. Make your bedroom your sleep sanctuary. Don’t eat, watch television, or do homework in bed. Make your bedroom for sleep and sleep alone, and your body will be conditioned to that routine. The two biggest factors contributing to a healthy sleeping routine are mindfulness and consistency. If you can stay consistently mindful (and mindfully consistent) when it comes to your daily dose of rest, you’re well on your way to a healthier, more energized, more functional and more well rested you. Get sleeping! We’ve all undoubtedly been there before: eyelids heavy, consciousness fluttering, mind racing and head swimming with countless factoids and anecdotes in a last-ditch effort to retain as much relevant information as it takes to pass the exam looming just over the horizon. Although the art of cramming is used and accepted by students everywhere, a stockpile of evidence points to the fact that working tirelessly without taking a breather is not only less productive, it’s counterintuitive to productivity altogether. Memory retention drops, critical understanding of concepts dwindle, and overall motivation for learning and completion of tasks falls by the wayside if you don’t give yourself some time to take a step back. So when’s the best time to take a breather, and how can you make the most of your breaks? Studies show that working in 90 minute bursts and cycling in a routine break can boost your productivity greatly. During this cycle, your brain mirrors activity trends similar to those you experience while sleeping. Over this cycle, your brain will flow through differing states of alertness, and taking a break at the 90 minute mark will give your brain a chance to refresh and reset the cycle of alertness and productivity. Take care not to make your break too long, but long enough to really refresh yourself. Research indicates that a 15-35 minute break (if taken mindfully) will greatly increase your ability to be productive during each 90 minute stint. There are several effective ways you can capitalize on your breaks to increase the impact they have on your ability to work. One of the most useful things you can do during down time is to make it active. Physical motion helps to break up the mundane very effectively, and actually getting up and leaving your workspace can help to separate your mind from it temporarily and hit the reset button. Whether it’s going for a walk around the building or doing pushups or jumping jacks in the office (a little unorthodox, we know), find something physical to get your mind wandering and blood flowing. When you’ve been zoned in to a project or study session, you start to feel a bit disconnected from the outside world. Use your time away from your desk as an opportunity to reconnect somehow, either by chatting with someone in person or on the phone, catching up on social media, or sending a few texts. This break from isolation will be refreshing and help you to stay motivated to dive back into what you’ve already spent time accomplishing. On the flip side, you could zone in further and take some quality “me” time during your breaks. Take some time in a quiet place for meditation and deep breathing exercises. Reflect upon your day’s work and center yourself to continue the work you still have to do. Know yoga? Get posing. These mindful movements and exercises can greatly impact your mindset and give you a clean slate to hack away at the rest of your work. In any case, the evidence is clear: breaks help you to increase your productivity. Reward yourself with the 20 or so minutes of down time after working hard for 90. It’s good for your work, your brain, and your overall well being. Start taking routine breathers while working on your next big project and see the results for yourself. As September comes to a close and makes way for October, it’s safe to say that the 2015-2016 school year is, by now, in full swing. The excitement and spike in motivation to buckle down that tends to come with the start of a new year is most likely starting to wear off, and study habits are already starting to slip as extracurricular activities and heavy workloads weigh on the minds of students and parents alike. This phenomenon (let’s call it the “Mid-Quarter Slump”) is a very real experience for many students, and is a strong inhibitor to the learning opportunities of those who don’t bounce back from it. What exactly is it that causes students to fall into the mid-quarter slump, and what can we do to combat it? Simon Oxenham of Big Think provides the compelling argument that we’re never taught how to truly learn in our early educational years, and believes that a large contributing factor for a loss of motivation could be that our lack of technique in the learning process makes it less stimulating and more difficult. An article published in Psychological Science in the Public Interest discusses ten different learning techniques along with the researched effectiveness of each one. We’ll briefly cover some of the ten that you may not have heard of, starting with the least effective and summing up with the most effective ways of learning. The techniques with the lowest effectiveness ratings were highlighting, the keywords mnemonic, rereading, imagery use for text learning, and summarization. Despite proving largely ineffective for long-term information retention, these are some of the most common practices taught and used in the education system today. The Keyword Mnemonic links phrases and their meanings to the sounds of the words themselves, and while it serves a purpose for memorization, it lacks the substance to convert knowledge into application and often doesn’t carry on into long term knowledge. 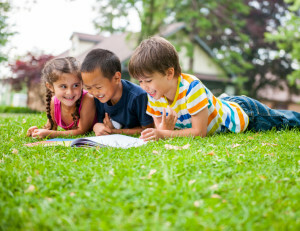 Imagery use is a technique in which students mentally associate images with the text they are absorbing. While this can be effective for young students, the focus in older students tends to become more on forming the relationships with the images than the information itself. Summarization is shown as ineffective primarily because it does not help students retain for information-based tests, such as multiple choice. However, it has proven to be effective for essays and tests in which the student is not prompted with a possible correct answer. Ranking in the middle range of effectiveness were elaborative interrogation, self-explanation, and interleaved practice. Elaborative Interrogation was seen as having moderate effectiveness because of its ability to prod students to critically think and ask why information is true and what conclusions can therefore be drawn from it. It is most effective, however, when the learner has prior knowledge of the subject, so this technique may not be best for a brand new subject to the student. Self-explanation involves the student explaining their thought processes in coming to their reached conclusion. This helps the student fully grasp the subject matter and their thinking, but ranks only as moderate because it can prove to be very time consuming. Last on the moderate scale is Interleaved Practice. 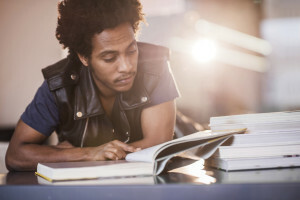 This technique involves changing the subject matter being studied fairly frequently to keep the student from growing bored of or getting “burnt out” on any particular subject. In theory this seems as if it would be effective, but there is not much research to indicate it is a highly useful technique. The techniques that scored the highest levels of effectiveness were practice testing and distributed practice. Practice Testing can be a number of different things, ranging from actual practice tests distributed by a teacher to making flashcards to study prior to a test. Testing provides a high-stress, high-stakes environment for students, and practice tests allow them to test their knowledge prior to the event in a much lower stress situation. This has proven to enhance their opportunity for learning and information retention greatly, as well as increase their test scores overall. Distributed Practice is the act of spacing out learning and studying into periodic sections based on how long you wish to retain the information. Studies show that only 10-20% of time studying is required in relation to the length of time one wishes to retain information. Therefore, if students study in a more spaced out and less time-intensive fashion, they are more likely to retain the information day to day. Ironically, most students tend to stray away from both of these highly effective techniques and run in to problems. The method of procrastination and cramming in the days and hours leading up to a test (the exact opposite of distributed practice) will almost always lead them to “winging it” on the test, and they will have never had the opportunity to do a practice test beforehand. This perpetuates the stress that often surrounds testing and elevates the stressful culture of schooling that most students often feel in general. Learning styles vary widely from student to student, but these proven techniques, when implemented (along with other techniques that work for you) will help you keep the Mid Quarter Slump at bay and ensure that you learn effectively! After a long day at school, the last thing most kids want to do is more schoolwork. 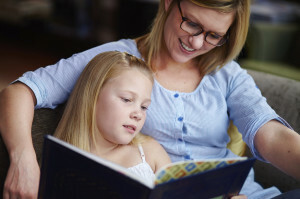 Some scholars argue that keeping kids in the “school” mindset immediately after coming home is beneficial, however others believe it is better to let your kids have time to free their minds and relax. Regardless of when it happens, everyone can agree that it is important to allow your children free time every day, after school. Playing games with your family helps you create fun memories and allows you to share laughs together! Family games will also teach your children good sportsmanship, communication skills, and will help them understand the importance of following directions. Card games like “Close Call” or “Quick Stop” can help build math skills. Interactive games like “Mother May I?” will teach children basic social skills such as asking permission. Eating dinner together as a family allows you all to relax, tell stories, and laugh together while also building your child’s communication skills and vocabulary. Creating healthy meals that are “family style” allows for picky eaters to decide which foods they want on their plate and will put them in a better mood for conversations! Ask your children their favorite and least favorite part of the day. Ask them to tell you their favorite joke, and from where they heard it. Ask what kind of super power they would want! Crafting with your kids can be especially fun because it allows kids to be creative and take pride in their artwork. When creating art there is no right or wrong way to do it, therefore your children can express themselves in any way they want! Creating art has been found to boost children’s ability to problem-solve and think with an open-mind (something they do not often get to do while in school). Finger painting is not only fun, but also it strengthens hand and finger muscles, which will improve motor development. Playing with chalk promotes thinking “outside of the box” and the best part is it’s not permanent! Scrapbooking helps kids remember the fun times they’ve had and they create family heirlooms. They say a family that plays together stays together! Allocating time to exercise together with your family will not only help your health, but it gives you time to talk to each other about your lives and strengthen your family bonds. Exercising with your children emphasizes the importance of playing sports for fun and not for competition. Sports like football, softball and soccer will teach children skills like teamwork and adherence to rules. Walking your dog together as a family will give you time to talk to each other and can teach your children to be responsible for a pet. Having a dance party with your kids will not only be fun but it lets your children release all of their build up energy in a positive way. Remember, when you’re interacting with your children make sure you all put technology away so that you can give each other 100% of your attention and avoid the negative consequences of technology use. Your children look up to you so set an example and keep the phones and tablets out of family time. Although some days can be long and stressful for parents, it is important to remember that your kids have had a long school day too. So use these tips to make your child’s day brighter while having fun and strengthening your family bonds! Are Your Kids Reaching Their Full Potential? It’s a thought that almost certainly crosses every parent’s mind, “am I doing everything in my power to help my child reach their full potential?” Often times parents think, am I paying my child enough attention? Am I making enough money to provide them with what they need to succeed? Am I doing something that will hurt them later on in life? And on, and on with the questions. Chances are that if you’re asking these questions in the first place, you’re probably doing a great job providing for your children, but have you ever thought to ask these questions of their school? Is my child’s school providing the right environment to help them learn? Are they learning all the vital skills they will need to succeed later in life? Do they enjoy going to school, and do they view it as a positive environment? These are all questions you should be asking of your child’s school. After all, they spend six to eight hours there a day, sometimes more! If you can’t answer these questions, or if the answer is no to a lot of them, it might be time to take a closer look at what you can do to find a school that is the right fit for your child. Many parents believe that they don’t have any other options when it comes to where their child goes to school, other than the public school in their district, but this is not always the case. There are many options families have to remove their child from a school that simply isn’t the right fit, and put them in one that is the perfect fit! One of those options, school choice, is one that isn’t talked about all that often. School choice is a program that allows students and their families the option of attending a private school of their choice, often partially- or fully-funded by a scholarship. These scholarships are available through programs such as the AAA Scholarship Foundation, are funded by tax-credit donations, and awarded based on a variety of criteria. Currently, approximately 190,000 students across the U.S. are using tax-credit scholarship programs to help pay for tuition and 14 states have enacted tax-credit-funded scholarships programs. There’s no doubt that these programs are helping a lot of children reach their full potential, and there’s no reason they can’t help your child! Stories like Ky’mier’s, of children being given the opportunity to reach their full potential, are becoming more and more common in the U.S. and this can be attributed to the success of the school choice program! If you would like more information on how we can help your child reach his or her full potential by going to a private school of their choice, contact us today! AAA Scholarship Foundation wants you to take advantage of the variety of online applications that we offer for parents and students to fill out. We want this process to be simple for you, as we have hopes that we can continue to reach more students and help children. The application is the first step towards a positive change for many children. To assist you and your child with application process we’ve included some simple but specific guidelines below. Take a look at these to help you get started on your application. Getting Started: There are several ways to get to the application page, the easiest of when is on the home page of our website. On the right hand side you will see two options, begin by choosing, “Parents > Apply Now.” This will lead you directly to the application page. How It’s Organized: Once you’ve selected to apply as a parent you will see that the page is organized by state. Our scholarships are offered in Florida, Georgia, Alabama, Arizona and Pennsylvania. Some states offer more than one type of scholarship, so you’ll see multiple scholarships listed for the same state. Select the type of scholarship that best applies to you in your state. Breaking It Down: Most of the states listed on our website include an application for an income-based scholarship, while others also include applications for other types of scholarships. Under the colored banner of each state with their specific scholarship title, you will be able to access various helpful documents, including the application, a handbook, FAQ’s and payment calendars. What to Do: For some of the states, applications are only available online at certain times of the year. All of these applications, which are listed by year, are only available for a certain time frame, so when this window closes the application will no longer be accessible. However, there is a handbook to access more information on this application, at any time. Other Info: Below the scholarship information by state, you can take a look at “How Income Based Scholarships Are Awarded” and “Scholarship Values.” This information will give you a closer look at the AAA Scholarship Foundation and allow you to find out more about the types of students that receive these scholarships. In addition to the available handbooks there are email addresses under that state banner that you can email with questions. Please feel free to contact AAA Scholarship Foundation with any questions or concerns by phone at 888-707-2465 or by email at info@aaascholarships.org.